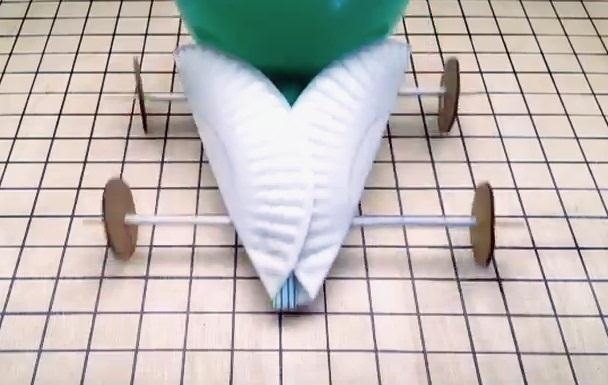 With a little spare time and and a few items you can find around the house, you can make your own balloon-powered paper car. This is a great and easy DIY project that's perfect for competitive kids. The paper plate will act as the body of the racer. 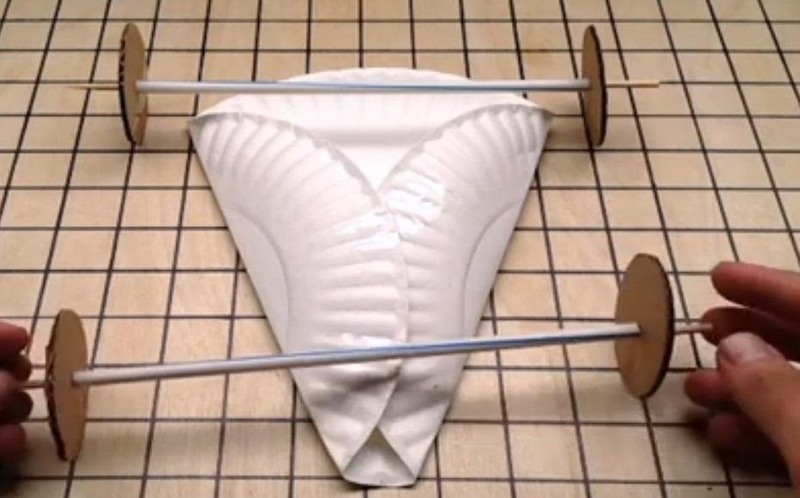 You will need to fold it into a triangle and then use the straws as axles for the wheels a little later. Make sure to tape down the plate in the middle and front so it doesn't unfold. 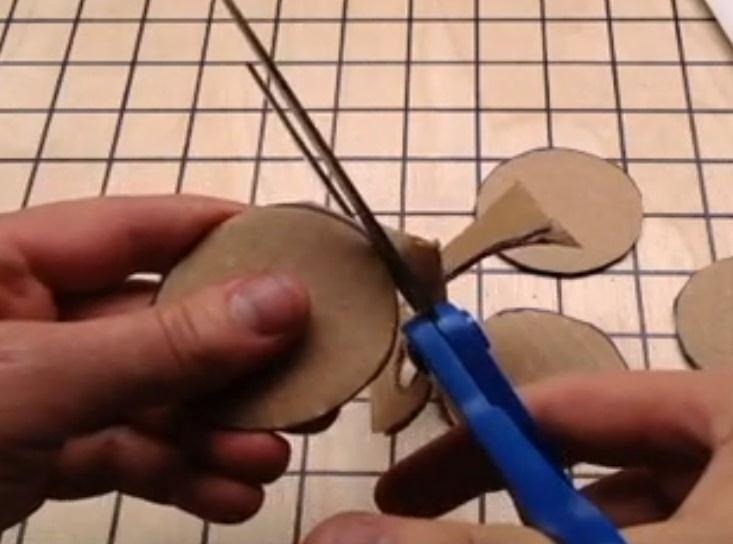 Once the axles are tapped down, use the cardboard to cut out wheels for your racer. With your wheels ready, make a hole in the center of each wheel and place the skewers into the center. Make sure it is as central as possible to avoid an uneven ride. Now place the skewers into the straws and connect the wheels to the ends. Your racer is almost complete. 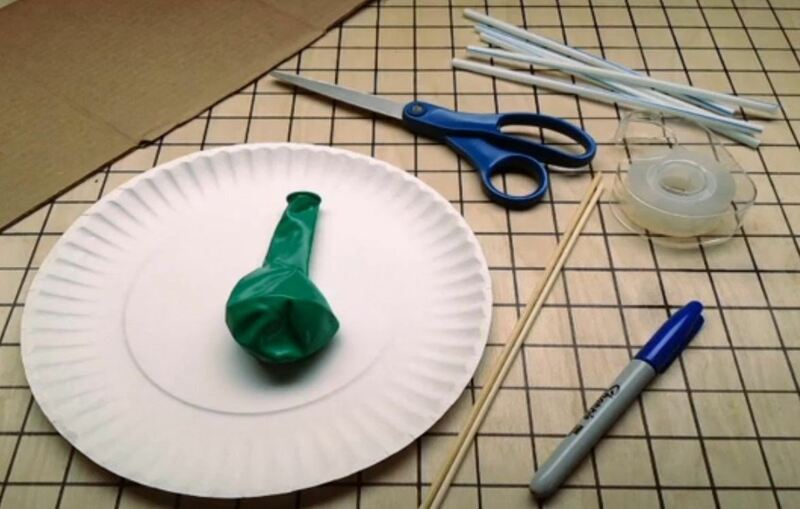 Tape the two axles on the bottom of the paper plate and then attach your balloon to a few shortened straws creating a pseudo "tailpipe." Tape down the front opening to avoid any air getting out. Inflate the balloon and then place the tailpipe in the middle of the racer and let her rip. Watch this video for detailed instructions and to see it in action.